We are thrilled to confirm that for the second year running, the Chartered Institute of Public Relations (CIPR) has added a number of our csuite podcast episodes to it Continuing Professional Development programme (CPD). The CIPR states that CPD puts its members in the driving seat of their own career, gaining the knowledge and skills they need to progress. 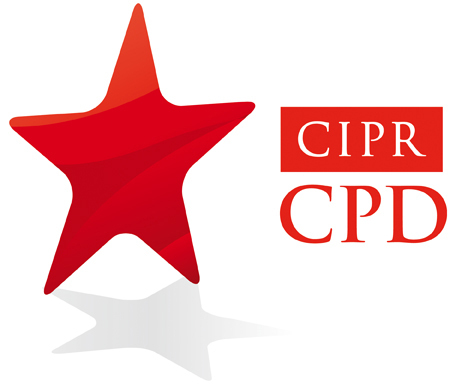 Over 2000 of the CIPR’s members take part in CPD, which is the only route for them to become a Chartered PR Practitioner. Eight of the podcasts that we produced over the last twelve months have been added to the programme, meaning that those CIPR members taking part in CPD will receive 5 CPD points for listening to each podcast if they log it at their My CPD. Simon Jeffery, Group Manager for Technology & Management Information Systems at Siem Car Carriers. James Erskine, Managing Director of The Big Shot discusses the findings of his agency’s latest research into consumer attitudes to branded content. He was also joined by Hannah Bourne, Marketing Director Children’s at Penguin Random House UK who talks about working with online influencers. Monica Kalia, Co-founder, Neyber on financial wellbeing. Alan Fogarty, Partner at Cundall on how a building can impact on the wellness of those working within it. Holly Price, Training & Development Director, Keltbray Group & Daniel Raine, Global Director Consulting & Business Intelligence, HRG Worldwide shared their company’s wellbeing journeys. All previous shows of the csuite podcast series are available at csuitepodcast.com as well as Soundcloud, iTunes, TuneIn, acast, Google Podcasts and Stitcher. There is also a growing community on Facebook and Twitter, where you can get involved in the discussion. Finally, if you subscribe to the show, please do give it a positive rating and review on iTunes in particular as this helps it up the charts!